It’s been a while since I wrote an anti-Google polemic, so I figure it’s time I dust off the old angry keyboard and start smashing it like an infinite number of enraged monkeys in an infinitely large cage. I wrote this just prior to the Google / Alphabet announcement, but fortunately nothing has changed for Google’s own mission. If anything, it’s become even more focused. In typical Silicon Valley style, this mission statement is hyperbolic, self-righteous, and megalomaniac. ‘Here come Google’, it seems to say, ‘solving the whole world’s information problems!’ It is of course an American, capitalist, technology-driven company that is going to save the world and make it a Better PlaceTM. But it’s not the self-aggrandizing manifest destiny flavour of Google’s mission that I want to discuss today. Instead I want to highlight one distinct element from this mission statement that, in my opinion, betrays Google’s inability to extract itself from the techno-fetishist utopian fantasy world in which most Silicon Valley technology companies live, and Google’s profound naivety about its own place in the real world. Let’s start with the core aspect of the mission: to organise the world’s information. In this respect Google sees itself as a librarian tending to an unimaginably vast and ever-expanding collection of works. Starting with the web (but by no means limited to it), Google’s core activity is to find every bit of information it can, and use its machine learning capabilities to make it accessible and useful. Whether ‘useful’ equates to ‘profitable for Google’ is a debate for another time. 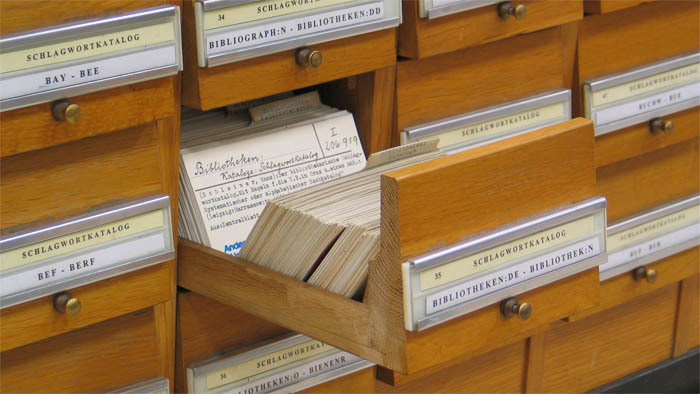 I reckon Google’s engineers embrace the librarian analogy, seeing themselves as the quiet, erudite guardians of human knowledge, providing access to any and all through its carefully managed index card system – i.e. the search engine. And, like librarians, Google sees itself as existing outside of the ecosystem that creates this information. Google doesn’t see itself as a publisher, nor an editor or author. No, Google – in its own head – is merely card sorter and access provider. A noble, hard-working servant of mankind, the uncomplaining caretaker of the world’s largest library of information. In light of that perception, a lot of what Google does in online search makes perfect sense. In its efforts to become the most effective librarian, Google has increased its scope, not happy to merely send people to the right aisle in the library. Instead Google has started providing the answers to their visitors’ queries straight away; the so-called Knowledge Graph. For users, this does indeed provide an added level of service. It reduces the need to carefully sift through all virtual books on a particular digital shelf, and cuts research time dramatically. However, it has grave repercussions for the creators of this information. If actual physical libraries were to provide this service, it would mean a great many books would end up unread – the knowledgeable librarians would read the book and, when asked, provide any and all detail about the contents to the library’s visitors. If all libraries did that, we’d have a fundamentally different book publishing dynamic. The libraries would, in effect, attain a much greater role in the book publishing ecosystem, exerting pervasive control over how books are published, what types of books would be published, and how audiences find books to read. Translate this back to the online realm, and this is exactly what we’re seeing. 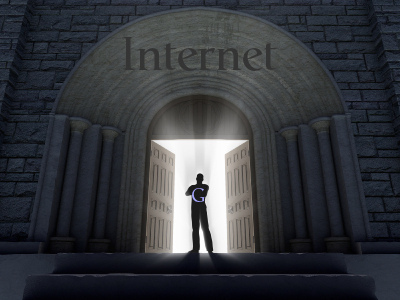 Google have amassed an enormous amount of power over online publishing. If your content cannot be found on Google, it might as well not exist. You may be able to find a fleeting audience on social media, but the bulk of your readers continue to rely on the web’s unofficial librarian. If your card is not in Google’s index of the web, it’s very unlikely you’ll ever be read. Yet Google continues to behave as if it exists entirely outside the online publishing system, as if it has no part in the production, publication, and consumption of online content. Google adheres to its imaginary role as an independent service provider, seeing itself as living outside of the intricate ecosystem in which people create new information for the search engine to make accessible. We know, however, that this simply isn’t true. Google has become a global powerhouse that has an unparalleled impact on how content is produced and distributed. More than ever, information creators have become dependent on Google to provide them with an audience, which in turn translates to monetisation opportunities. Without an audience, there is no revenue model for the creation of content. And without Google, a content creator’s ability to generate an audience is severely limited. In its quest to become the world’s premier discoverer and archivist of information, Google has also become the world’s biggest editor and publisher. Its search results are the world’s most viewed publication, and the algorithms that power its rankings are the world’s largest automated content editor. Every search result is a publication of content, and the result of countless human decisions to skew ranking algorithms one way or another – in short, an editorial process that favours some types of content over others. This is not a contentious assertion. Google itself has repeatedly confirmed its search results are editorial content, and thus protected as free speech. As the foremost publisher and editor of the world’s information, Google needs to understand it has become an integral part of the content creation ecosystem. It can no longer maintain the delusion that it exists separate from the information it publishes in its search results. Yet the contrary is the case; Google remains unwilling to accept any accountability for the immeasurable role it plays in the creation and distribution of the world’s information. In fact, the company’s pursuit of advertising income means that it is increasingly robbing creators of the audience they need to monetise their content. Where publishers pass revenue on to authors, Google does no such thing. Instead it hoards revenue and, moreover, hoards the audience as well. The knowledge graph is the most obvious symptom. By providing answers straight in its search results, Google is indeed improving the experience for users. But these answers do not emerge spontaneously from a void; they are created by other people, and published on websites that allow Google to crawl and index those answers. The direct publication of answers in search results denies the creators of this content their fair share of the spoils in the creation > publication > distribution ecosystem. Google publishes the information in its search results, but denies the originating websites the audience that is their due. Instead, Google keeps the audience for itself, so that it can monetise it further. By denying its role in the information ecosystem and blindly focusing on the growth of its own monetisation opportunities, Google is quite literally robbing information creators. Google hinders websites’ efforts to build an audience and establish a meaningful business, instead voraciously devouring all content presented to it and endeavouring to give as little back in return as it can get away with. Content creators wishing to divorce themselves from this unfairly skewed information market find themselves severely handicapped. Google is everywhere, and its extravagant dominance on the web ensures that a life outside Google’s playground is a very limited existence indeed. It is possible to build an audience without Google search, but it’s exceptionally hard and requires businesses to put the majority of their eggs in a differently coloured basket called Facebook – an equally untenable long term strategy. Efforts to address this disastrous imbalance in the information creation system have so far been unfruitful. In Spain, legal attempts were made to equalise the playing field, to which Google responded with an infantile temper tantrum by throwing all its toys out of the pram, effectively blackmailing its adversaries in to admitting defeat. That is what content creators face; either play by Google’s rules, or get out. There is no middle ground, no compromise, no acknowledgement of the company’s culpability in the difficulty faced by so many publishers. Google’s modus operandi is to take, take, and take some more, until a vertical – search, news, maps, shopping, travel – has nothing more to give. This wilful ignorance about the role Google ought to play in content creation will, in the long run, have a profound effect on the web. By robbing creators of their fair rewards, Google is ensuring there will be fewer and fewer content creators out there to provide its insatiable search engine with the information it requires to function. Perhaps Google’s executives are, in fact, keenly aware of this outcome. It may be something they look forward to; a cleaner, neater web, populated by a limited number of dominant information providers, all beholden to Google for their traffic and thus doing their utmost to play exactly by Google’s rule book. It’s Google’s way or the highway. Is content marketing a waste of your time and money? Good points Barry, as always. It’s seems inevitable that there is now an ever decreasing vicious circle of Google’s hunger not being sated. Meaning fewer sources of good content can afford to play the table as the rewards are too scarce. It’s wild diversity that Google needs, but they are stifling and suffocating their own food stock. The web is getting very homogeneous. Very short sighted. Excellent Article here… I really hope people @Google are reading because the use of their competitive advantage in search to push again and again their own services is clearly a threat both for the users and the economy. In Europe, Google owns more than 90% market share and is the single entry point in the Internet. Either Google will do it, or newcomers that will slowly replace it. Take a close look at Google’s venture arm. Websites like Techcrunch are Google Venture companies so Google IS a content creator. It just hides it through these “ventures”. And websites like “Inquisitr” which oddly ranks at the top constantly yet is admittedly not a news site, just a news aggregator was started by a TechCrunch employee. This rabbit hole is deep. Its way worse than people realize. Google made 66 BILLION dollars in 2014 96% from selling ads to put on sites like the Inquisitr so it only makes sense that Google would cut out the middle man so they can keep ALL the adwords/adsense profits. Noticed how publishers payouts from Google are tanking while Googles profits continue to sky rocket 20% year over year? Yet all their money is made off the backs and hard work of publishers so it doesn’t add up. It means Googles monopoly on ads is tightening and they know it. They know publishers have nowhere else to go since all the other ad networks buy their ads through Googles exchange. We must demand the books be opened up so we can see if there is a correlation between Googles biggest advertisers and highest ad payouts and organic rankings. Im sure there is. Then Google needs to be criminally prosecuted. Small publishers better wake up and get together fast.